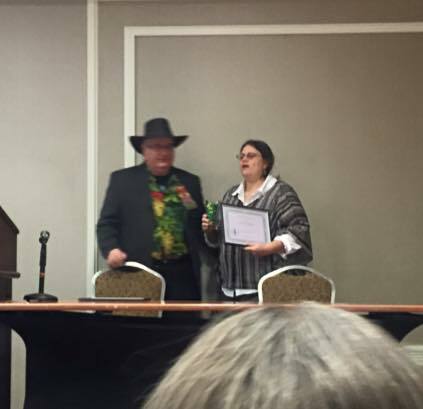 This entry was posted in Awards and tagged Contraflow, DeepSouthCon, Fleur de Fan, Rebel Award, Rubble Award by Mike Glyer. Bookmark the permalink. It’s Frank Schiavo, not whatever nonsense I typed on Facebook. Spelling is not my strong suit.